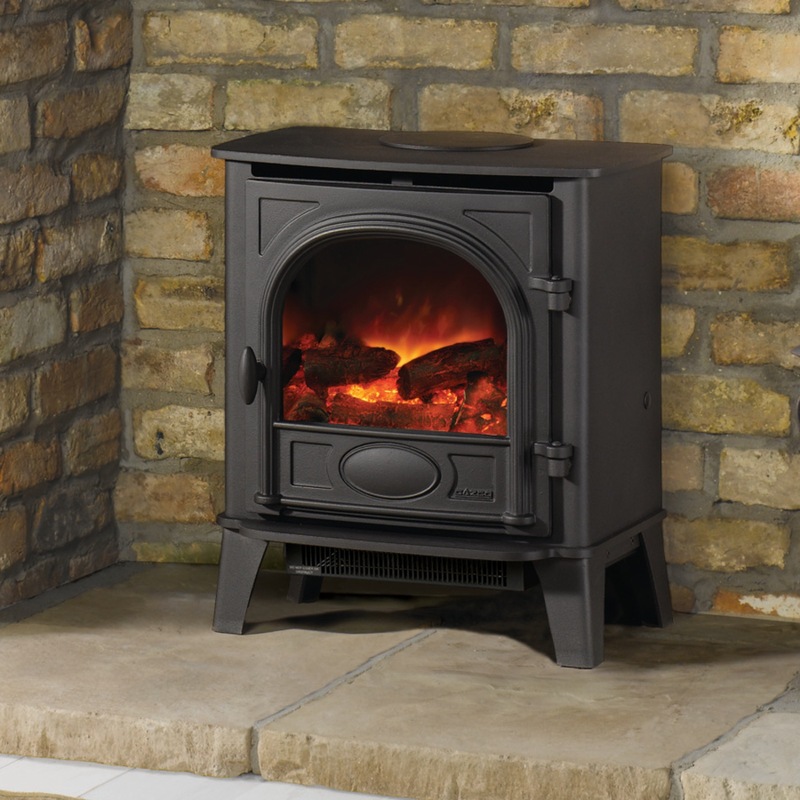 Using the same cast iron door and heavy gauge steel body as the Gas Stockton stoves, the Gazco Stockton 5 Electric Stove combines the classic looks of a wood burning stove with the ease of Gazco’s unique VeriFlame technology. Using the latest Flame-Effect Technology, Gazco has created a beautiful range of fires and stoves that provide a versatile and stunning focal point for any home – and all without the need got a chimney! The Stockton Electric Stoves feature the Gazco VeriFlame technology which means that you can enjoy two heat settings that can both be thermostatically controlled, three flame intensity levels, plus the additional option for a blue flame effect on the high setting to create a remarkably authentic log-effect fire. 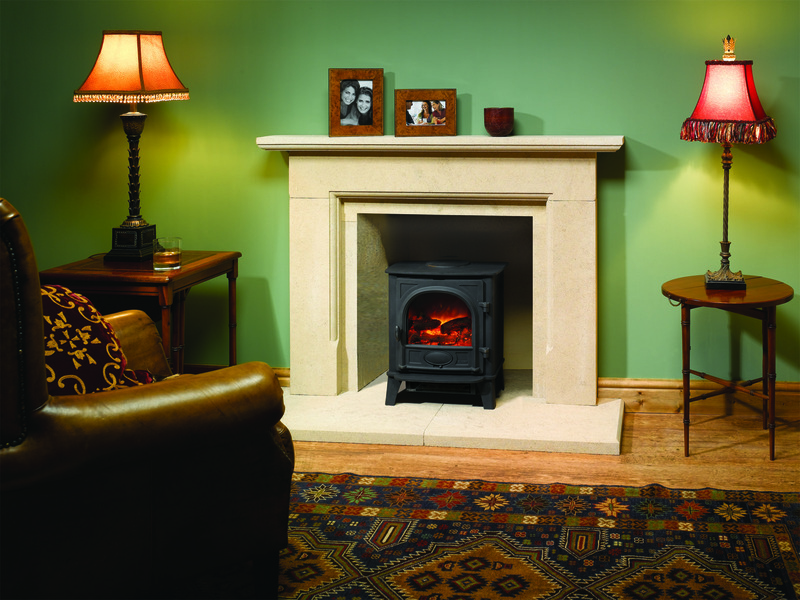 The Stockton Electric stove is a superb focal point for any room. 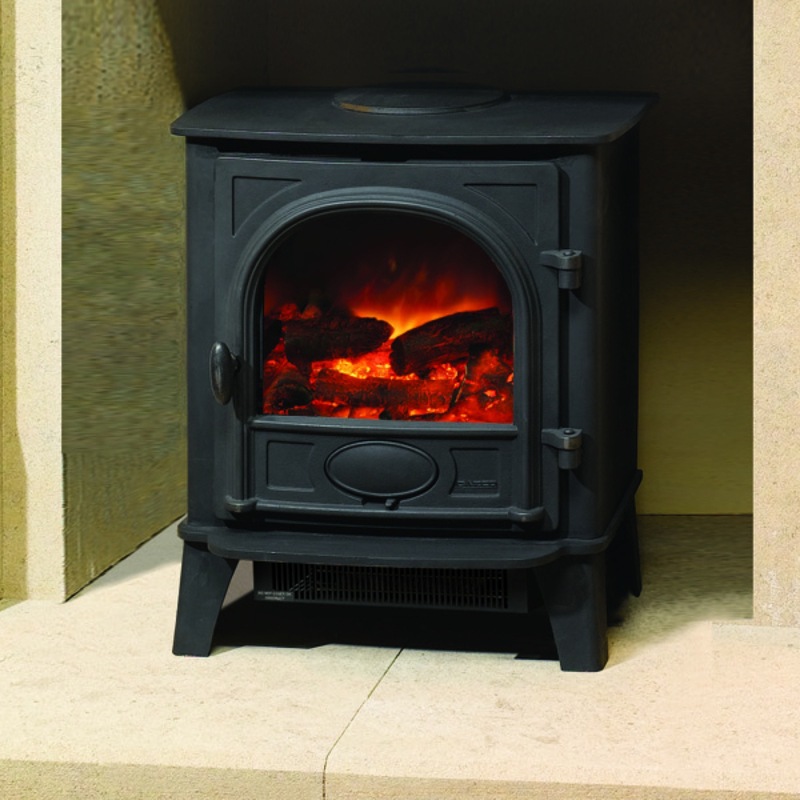 The Gazco Stockton Electric Stoves are available in two different sizes. The Stockton Medium Electric Stove can be found here. Nothing creates an inviting atmosphere quite like a Gazco stove. 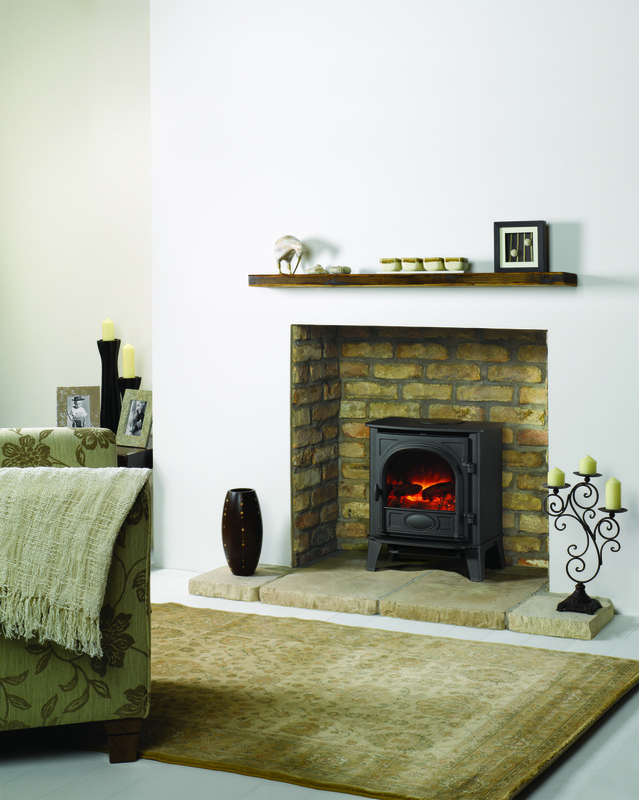 The centrepiece of any home, a Gazco stove adds warmth and character to any room or living space. With the option of either a Conventional or Balanced model, you will find the perfect stove for your home, even if you do not have a chimney. Whether you wish to achieve a minimalist, contemporary look, or have your heart set on a more traditional stove, Gazco offer a mix to suit all tastes and budgets. From the highly efficient contemporary Gas Riva Vision range with its style and elegance, to the stunning cast iron detail on a more traditional Huntingdon stove, these innovative designs will appeal to any modern or traditional home. There is also a range of highly realistic, electric log-effect stoves and fires featuring Gazco;s VeriFlame technology. These electric stoves open up new possibilities for installation, such as conservatories, kitchens, dining rooms and bedrooms for you to have the warmth and distinctive character of a Gazco stove within your home.